#Tesla Motors Inc. is making a huge bet that millions of small batteries can be strung together to help kick fossil fuels off the grid. Three massive battery storage plants—built by Tesla, #AESCorp., and #AltagasLtd. —are all officially going live in southern #California at about the same time. Any one of these projects would have been the largest battery storage facility ever built. 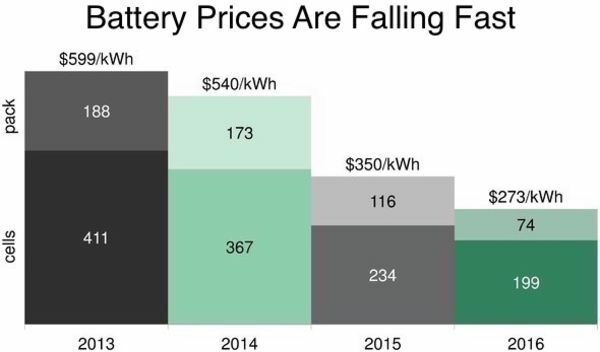 Combined, they amount to 15 percent of the battery storage installed planet-wide last year.